Good morning! Ardyth here and once again, I'm making a card for the current Muse Card Club challenge using A Jillian Vance Design products. 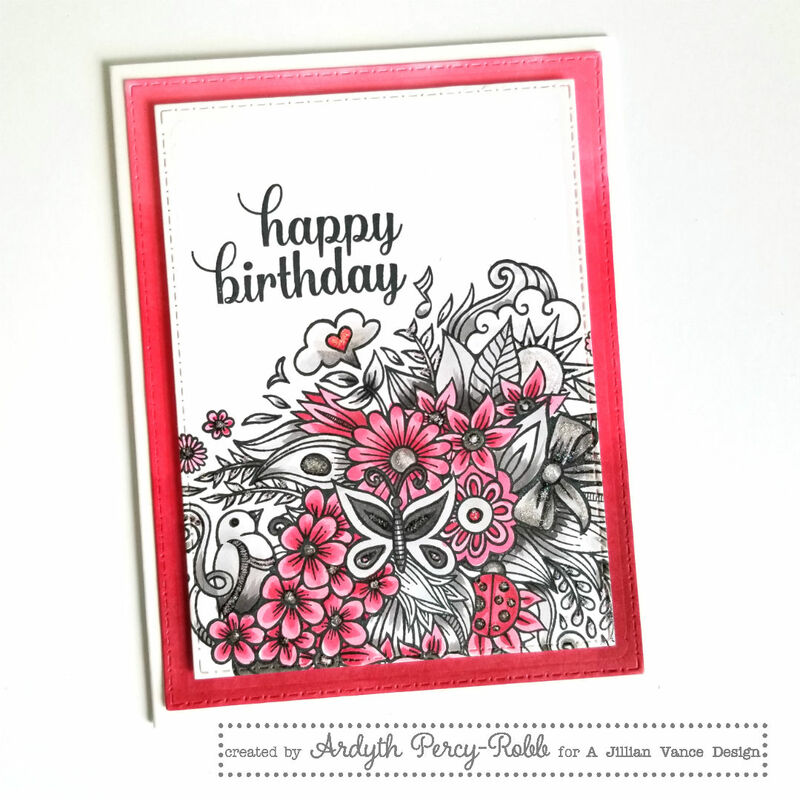 The inspiration has pink flowers on a grey background so I decided to use some copic markers in pink and grey to create a dramatic card. 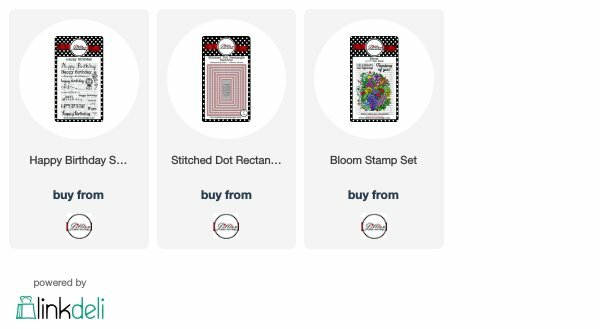 I started by stamping the Bloom background stamp with Memento Tuxedo Black on Neenah 80lb white cardstock. I coloured the flowers (and lady bug!) pink and the rest grey - this makes the flowers really pop! I used different shades to create dimension and shadows. When I was finished, I stamped my sentiment and added some Stickles to different areas for some sparkle. I created a matching mat by colouring the edges with the same 3 pink Copic markers that I used in the colouring.